With no more public engagements currently on the calendar, it seems Meghan Markle is in the home stretch of her pregnancy. 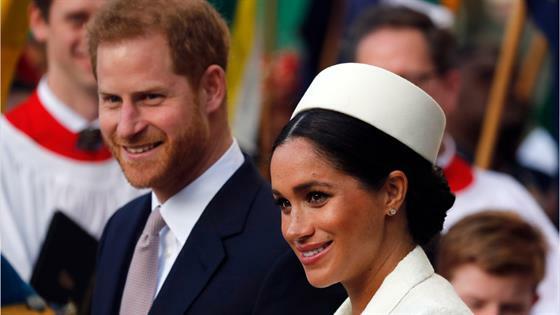 It's no secret that the Duchess of Sussex is expecting her first child with husband Prince Harry, but the little one's arrival seems imminent now that the American star's public calendar has seemingly lightened up. The public last spotted the mom-to-be on Monday, when she stepped out for the annual Commonwealth Day service at Westminster Abbey along with other members of the royal family. Earlier in the day, she and Harry visited Canada House in London for an event with Canadians living in the U.K. According to the Press Association, while she has nothing new on the calendar in the weeks ahead, Markle is reportedly still working behind the scenes, including a meeting with the Royal National Theater's artist director and executive director reportedly held on Wednesday at Kensington Palace. Fans may remember she was announced as a patron of the theater back in early January. E! News has reached out to the palace for comment. While Kensington Palace had not announced a more specific due date other than "spring of 2019," the pregnant royal revealed on a January walkabout that she is due at the end of April or early May. In December 2018, she attended customary Christmas Day church service with the royal family, where she shared an update on the pregnancy with a fan who greeted them outside. "She said, 'We are excited. We're nearly there,'" Karen Anvil told E! News. It has been reported that Markle is expected to continue with private meetings, though her public calendar does not have any new additions currently. If she follows suit with sister-in-law Kate Middleton, the mother of three began maternity leave almost exactly a month before she gave birth to Prince Louis last April. While we may not see the future new mom again before her little one is born, the good news is the next royal baby's arrival is only a few more weeks away—and just in time for the couple's first wedding anniversary.